Bring your little ghosts and goblins Trick or Treating at participating merchants on Victoria Crescent in Downtown Nanaimo Saturday, October 27, from Noon - 3pm. The Victoria Crescent Association wishes you all a Very Spooky & Scary Halloween! The following are the candidates that are being endorsed by the local union forces. Times past you could see how many dollars CUPE and other unions gave to 'their' candidates. This time around it won't be known how many of these candidates received financial support of some kind until after the election. With 13,000 members they can influence, they clearly can be the king-makers during the current civic election. The following candidates are the ones that have been endorsed by the labour council. 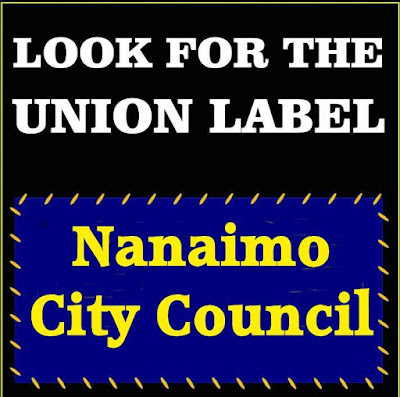 It is reasonable to assume that these are the candidates the unions see as being most favourable to their continued labour agreements with the city of Nanaimo. Of course that means they may not have the best interest of Nanaimo taxpayers at heart as they make their decisions. I have not heard any candidates say anything that indicates they really have much understanding of how city hall functions. But, when you consider that nearly 85% of every property tax dollar is consumed by wages and benefits at the city, this, or any council really only has a say as to how 15% of your money is spent. Perhaps that explains why last spring staff had to ask council for another $800,000 to fix some potholes because of the cold winter. That's right, will all the money flowing from your pocket into city coffers, they had to come to council seeking special funding to fix some potholes. 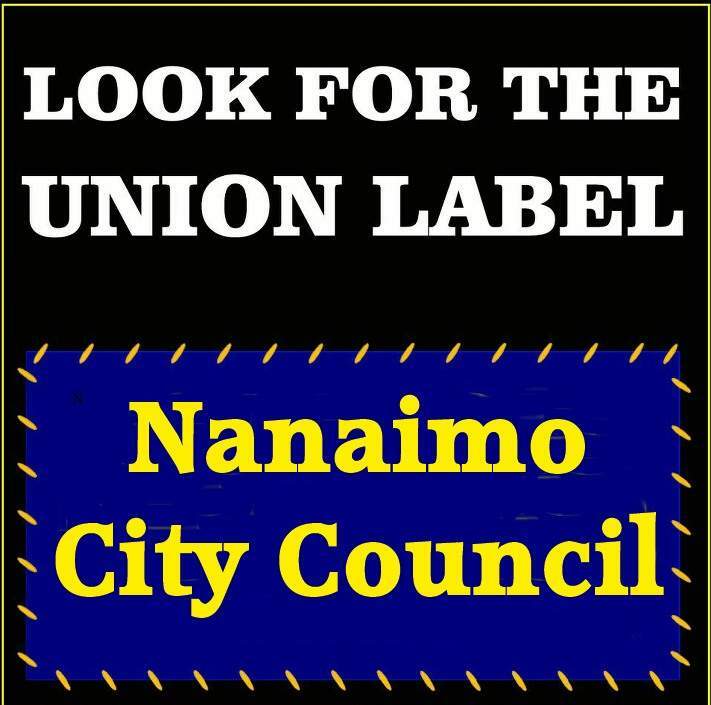 UNION SLATE FOR NANAIMO CITY COUNCIL? Remember how our Prime Minister promised to balance the budget and how he was going to spend all that money on infrastructure?? This is what happens when voters who only believe what the nice politician says to get elected but don't have any idea what they really stand for and elect them because they have nice hair. Think about it, the next time you keep asking the government to GIVE you this or that ............. they have already spent all our tax dollars and now are borrowing to keep buying our vote. All the time, piling on the interest to service that debt. Some people understand what globalism is all about, and then there are the Liberal and NDP supporters. The Cons are the only ones who pretend to have sound fiscal policy, but their performance doesn't seem to stand the test either.